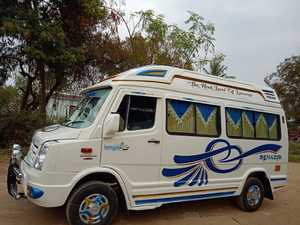 Prabu Tours and Travels wish to provide a complete peaceful journey to our esteemed customers. With “Customer is King” approach, we at Prabu fleet rental company, Coimbatore are offering best car rental/bus rental services to all types of travelers. Whether you are travelling alone or in a group, Prabu Tours and Travels offers a right car / fleet for your needs at affordable prices. I want to sell 2002 model, petrol, fiat car. It is single hand drive car with white color, Punjab No., On petrol.